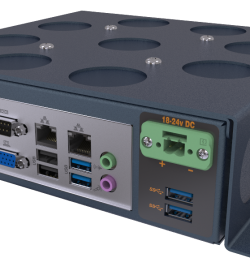 Why use an Industrial Product? • Rugged metal construction withstands harsh conditions. • Wear and chemical resistant surfaces. • Sealed up to IP68K to prevent liquid and dirt ingress. • Industrial grade components withstand shock, vibration and extreme temperatures. What are IP and NEMA ratings? How do I know which keyboard mounting I need? 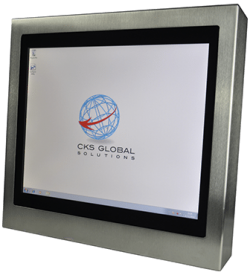 • Bezel mount units are designed to be panel mounted from the front. • Uncased units are fixed from underneath the panel. • Cased units are free standing. What are your standard warranty terms? 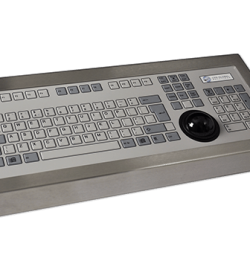 • All keyboards and trackerballs are covered by up to a 5 year return-to-base warranty. • All computer products are covered by up to a 3 year return-to-base warranty. 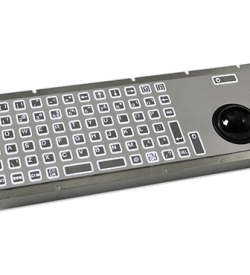 • A resistive touchscreen uses two layers, one coated with conductive material, the other with resistive material. • The two layers are separated by almost invisible microdots. • An electrical current runs through the two layers while the monitor is operational. • When a user touches the screen, the two layers make contact in that exact spot. • The change in the electrical field is noted and the coordinates of the point of contact are calculated by the computer. 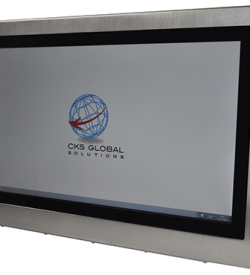 • A capacitive touch screen has a layer that stores electrical charge, placed on the glass panel of the monitor. • When a user touches the monitor with his or her finger, some of the charge is transferred to the user, so the charge on the capacitive layer decreases. • This decrease is measured in circuits located at each corner of the monitor and the position of the touch is calculated. • Resistive touchscreens are a more cost effective option and can be used with gloved hands or a stylus, but are more susceptible to damage. • Capacitive touscreens offer better durability and clarity, but require the screen to be touched by hand and are therefore not recommended for environments where PPP is required.